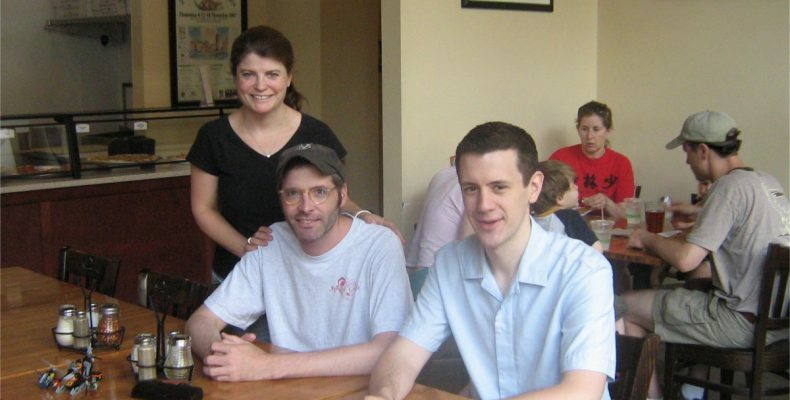 Throwback Thursday number nine is my May 2009 lunch in Columbia Heights, DC, with Mike Wilkinson and Alicia Wilkinson-Mehr — two of the founders of local pizza chain Pete’s New Haven Style Apizza. In the years since the interview, Pete’s has expanded to several more locations around the city, although the Columbia Heights location where we met has since closed. Click here to read about what inspired the creation of the company, and what qualifies as New Haven style pizza.